L-Tron is sponsoring an upcoming Forensic Photography Refresher Course on Thursday, April 12, 2018. The training will be led by Sergeant Hank Kula (Ret.) and a current Sheriff’s Deputy. For more details on the event or to register click here. You must be a current Law Enforcement member to attend. Don’t wait, seats are limited. All levels of photographers are welcome. 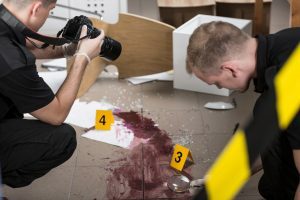 In order to prep for the course, we have compiled a list of 26 common crime scene photography terms to help you better understand your camera and to help refresh your (photographic) memory. Ambient Light: Light that already exists in your scene. The light is not caused by any illumination supplied by the photographer. Angles (or camera angles): Various positions of the camera in respect to the subject. Each angle provides a different viewpoint, or perspective. Aperture: The opening in your camera lens that lets in light. Area of interest: The central photograph. The one area a viewer’s eyes are attracted to in an image. Aspect ratio: The ratio of width to height. Example- the ratio of 2:3 in 35 mm pictures produces photographs that typically fit 3.5×5 or 4×6 inches. Capture: The process of obtaining data such as an image, video or audio. Capture Kit: Part of the 2-part OSCR360 equipment. The capture kit allows you to take your 360-degree images. 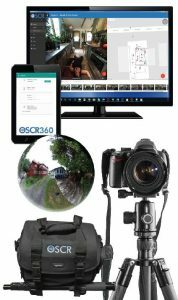 This includes the OSCR tablet, tripod, camera, and additional OSCR accessories. Color correction: To change or enhance the colors within an image (post-production). Contrast: The difference between light and dark, or density between one tone and another. Cropping: Removing a portion of an image outside the area of interest. Depth of field: The amount of area between the nearest and farthest points in an image that is in focus. Evidence quality photos: Images of sufficient size, resolution and quality that can provide detail for comparison, examination and testimony. There is no standard recommended size. Exposure: The amount of light allowed to act on photographic material. A product of the intensity and duration of light striking the film or sensor (controlled by ISO, F-stop and shutter speed). F-Stop: The lens setting that indicates the size of the aperture opening that lets light into your camera. This is an inversely proportionate number. Example: f/1.8 indicates a larger opening than f/5.6. Filter: A piece of glass or transparent material used over a lens to change the color or density of the entire image or certain areas within a scene. ISO: The sensitivity of a film or sensor to light, indicated by a number. The higher the number the more sensitive/”fast” the film or sensor. ISO or International Standards Organization sets a standardized scale for measuring sensitivity to light. Lens Speed: A fast lens allows more light in and has a larger aperture opening than a slow lens. OSCR360: Organize, capture, contain and connect your evidence. OSCR360 allows you to start organizing your case before your first 360 degree image is taken. Create a project with the capture kit to document your crime scene. Supporting evidence can be added to each project/case. Case organization is maintained from capture to presentation. “Painting with Light”: A lighting technique used in dark areas where flash or a flashlight adds light to bring out details. The camera must be set on a tripod for long exposures. Primary Subject: The idea or object framed. Can be a single object, aspects of a scene or even a larger area with many items in the perimeter. Raw File: The data captured by a digital camera sensor before it is converted into an image file. Resolution: The number of pixels that make up an image. A higher resolution equals a higher quality and more detailed image. Scale: The relative size of an object compared to other objects in the scene/area. This also refers to the measuring device(s) used to document object size in a photograph. Shutter: The movable curtain in a camera that controls the time light is able to reach the sensor. Spherical Imaging: A technical approach to collecting images/scenery by viewing it through a single perspective. These are linear images that allow the viewer to “see” in 360 degrees. Working copy: A duplicate of a recording that can be used for processing or analysis. By attending the Forensic Photography Refresher Course, you can brush up on your crime scene photography terms and skills. Learn how to better capture, preserve, organize and present your photographs and digital evidence. Hold on to this list as a reference, and let us know if you have anything to add. Happy photographing! Share your crime scene photography terms, tips or tricks with the L-Tron team on Twitter @Ltroncorp. Julianne Pangal is a proud “Edu-Techie” at the L-Tron Corporation. 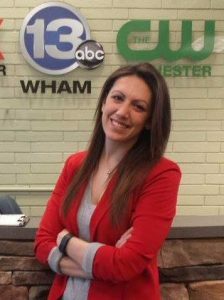 Along with assisting the marketing team and creating content, you might catch Julianne at any of our Law Enforcement conferences or tradeshows. She loves connecting with customers and meeting new people. When she’s not working or traveling for L-Tron, Julianne enjoys riding horses, running and finding balance in the yoga studio. She also loves to give back to the local Rochester community. Email Julianne.Pangal@L-Tron.com with any questions!